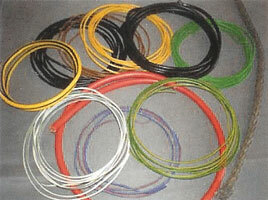 Cable available in single and twin (tracer) colours. Also multicores with black outer, Cotton Braided in colours and Aluminium Armoured in single and multicore types. General PVC Black or Grey. Convoluted Black split/unsplit. Expanding Braid Black or Grey Bitumen coated Fabric in Black Spiralband Black and Colours. 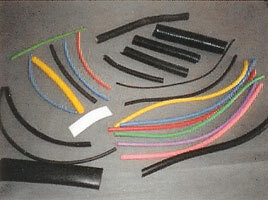 Heatshrink Polyolefin in Black and Colours. 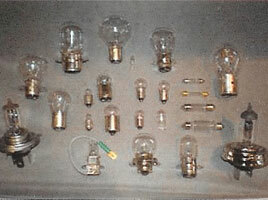 Most types of Bulbs stocked in 6, 12 and 24 Volt. Over 400 different part numbers in stock. We supply through attending shows within the UK, and by Mail Order. Payment accepted by Cash/Sterling Cheque at shows, and by Sterling Cheque, Postal Order, BACS or Money Transfer (Sterling only) when dealing by Mail Order. At present we do not accept any Cards or Eurocheques. Our website is currently under construction and we will soon be able to supply online accepting Credit & Debit Cards.